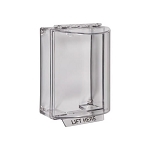 Cover is molded from thick clear polycarbonate material. Comes complete with mounting hardware and gasket (1" thick). 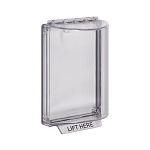 Polycarbonate rated for -40ºF to 120ºF (-40ºC to 49ºC). For smoke cover see BIO-7505. 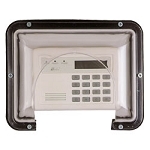 Prevent theft of access/keypad codes and protect swimming pool phones and similar devices from abuse and accidental damage. Cover is molded of super tough polycarbonate material. Comes complete with installation screws and gasket. Bio Protector is backed by a 3-Year guarantee against breakage and damage in normal use. 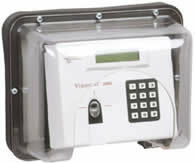 Prevent theft of access/keypad codes and protect swimming pool phones and similar devices from abuse and accidental damage.